Paperback. Pub Date :2012-09-06 Pages: 272 Language: English Publisher: Icon Books What is the actual connection between disgruntled and gruntled What links church organs to organised crime. California to the Caliphate. or brackets to codpieces The Etymologicon springs from Mark Forsyths Inky Fool blog on the strange connections between words. Its an occasionally ribald. 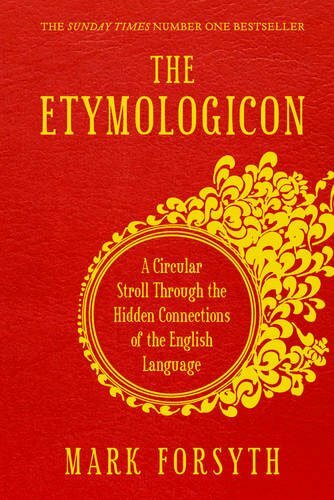 frequently witty and unerringly erudite guided tour of the secret labyrinth that lurks beneath the English language. taking in monks and monkeys. film buffs and buffaloes. and explaining precisely what the Rolling Stones have to do with gardening.